T. Hello, Terre, welcome to the blog please give us a bit of biography for both of you. TB. Hello, Thomas. Daniel Ward, my husband, and I are co-authors of the Science Fiction Thriller ‘Energetics: The First Order.’ I am a Graphic Designer, Illustrator Motion Graphics Artist and a published Art Reviewer. Daniel is an Electronic Engineer, a Sound Engineer, Musician, Videographer, Notary Public and Court Videographer. TB. We began brainstorming ‘The Four Orders of Inherent Freedom’ series about four years ago and began writing it two years later. I tried to convince Daniel to write a treatise or series of white papers on the scientific knowledge he had accumulated over the previous 30 years, but investing time into something so rigid held little appeal for him. As we discussed his research, we fell into the idea of couching the information in a fictional form—much more creative, exciting and rewarding. TB. I would have to say that my writing has been impacted by what I learned of ‘art’ in general: regarding philosophy, expression, performance and constructive criticism. This I gained from all my professors—English, Design, Art History and Theater. Drama? Sci-Fi? Utopian? From others’ feedback, we were encouraged to label it a Sci-Fi Thriller. TB. Yes, there are three more books in the series, and the only way for us to develop and retain the integrity throughout was to project and map out the main story lines across all four books. So, to different degrees, we’ve been working on all four books collectively, but we are currently writing the second book. T. Where is it available? TB. Energetics: The First Order is available as a Kindle eBook on Amazon.com and signed paperbacks can be purchased from our web site: www.thefourorders.com and through The Independent Author Network. TB. People often ask about our co-authoring process. Our brainstorming and writing techniques evolved in a very organic and symbiotic fashion. For two years we were ambitious dreamers: molding characters and designing scenes until they began to align themselves into plots. As all these elements grew more robust and complex, we dove into the next logical step of development—the adventure of writing! We discovered that written collaboration has many similarities to verbal communication, with an added sense of actualization and accomplishment. Initially, for ‘Energetics,’ Daniel laid down a lean outline, and from that root we each began to build out sections when inspired. Once we learned the nuances of the other’s writing style, we were able to work, both independently and together, on fleshing out, massaging and polishing an assemblage of parts into a whole. The resulting harmonious flow between the meeting of our minds—and creating something of this magnitude together—was, and is, one of the most significant and electrifying experiences we have ever known. TB. Multifaceted issue, simple answer: digital publishing is a great advantage to indie authors, in particular. This becomes clear if one just stops for a moment and considers if it was not an option open to us. TB. Although we knew that at some point we would actually have to sell our book, while writing it, our focus was on creating a piece of art. Eventually we began researching the numerous marketing tools and strategies available. How pleased and surprised we were to discover an entire sub-culture of indie and self-published writers helping each other succeed. Our thanks go out to you, Thomas, and everyone who has helped us along our path so far; and the thrill of the journey continues! Please visit our ‘Energetics’ Facebook Page, not only to keep up with our book news, but for information on many excellent authors and their works. T. Thank you for your visit. Thomas Rowe Drinkard, born and reared in the Deep South—Alabama—graduated from the University of North Alabama with a degree in English. Following commencement, he was commissioned as a Second Lieutenant in the United States Army, and was then accepted into the Special Forces (Green Berets). After the Army, he found his way into teaching and writing in the securities licensing preparation business. His textbooks, articles and CE courses are in use today. 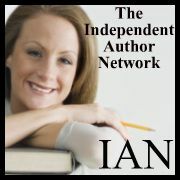 Tom is now a full-time writer/part-time freelance editor and author of Piety and Murder published by LazyDay Publishing.